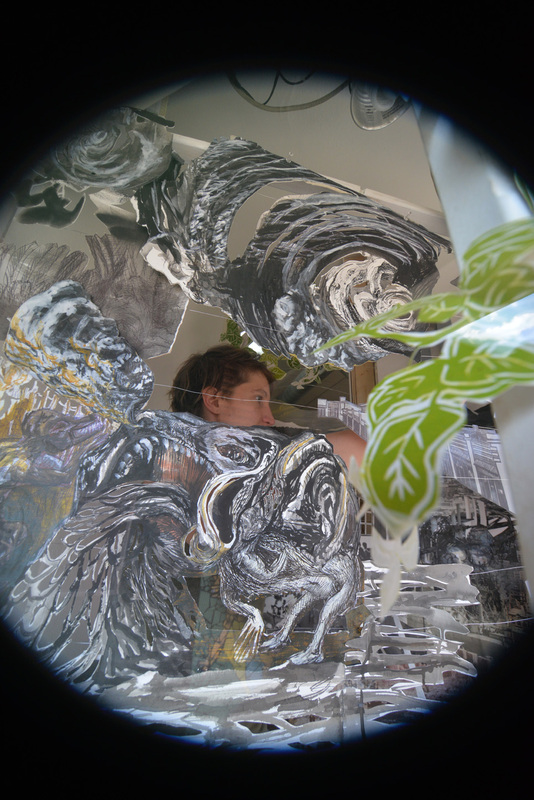 The work was destroyed before professional photos were taken. 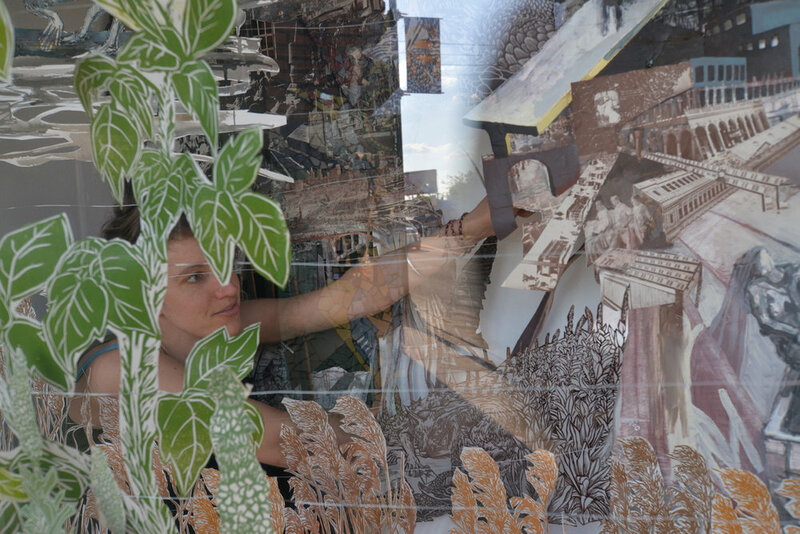 Process photos image by Sean Smuda. 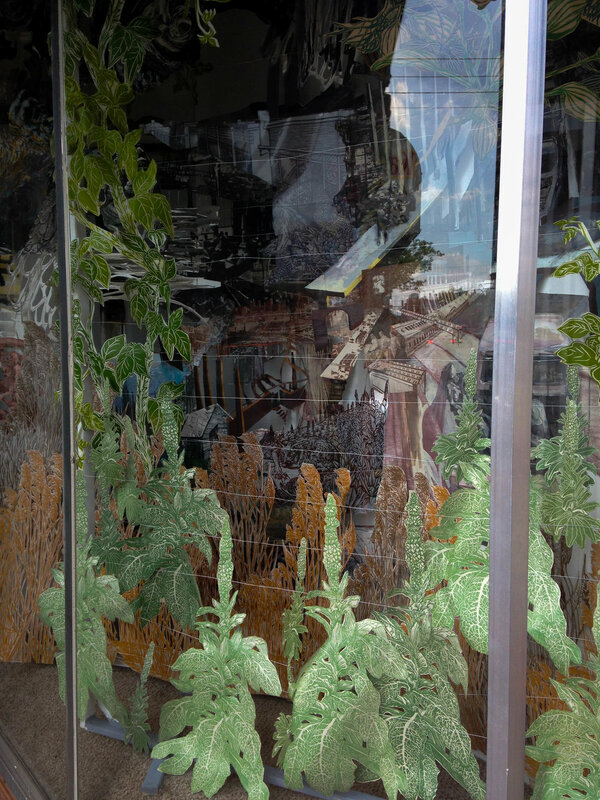 In the ground / thinks with us, I explore pattern-forming through repeated botanicals and strip-mall architecture. 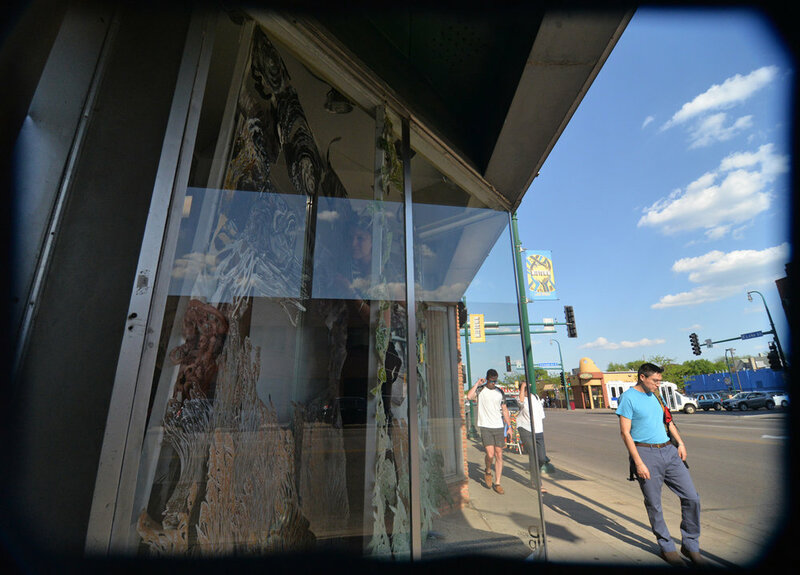 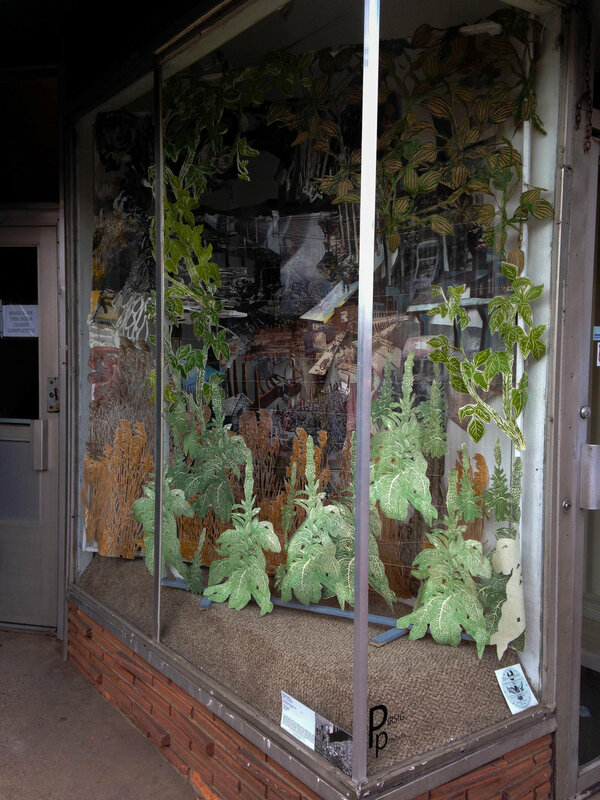 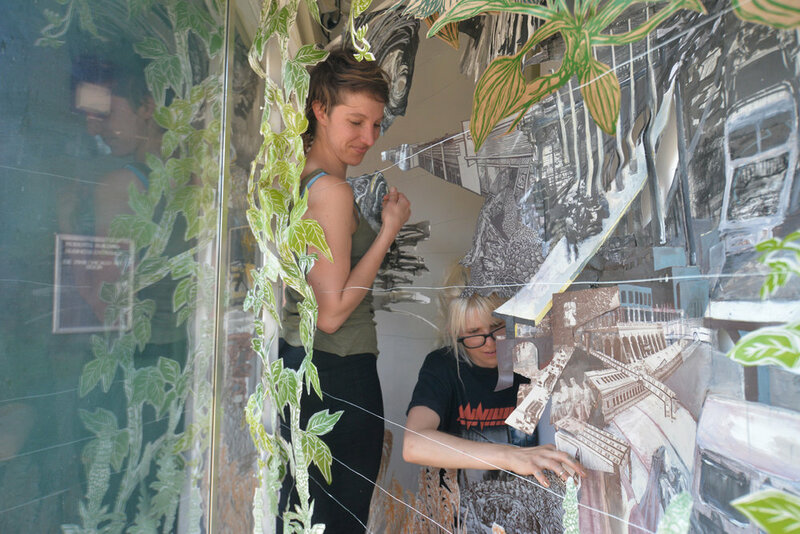 Pirsig’s window display was transformed into a cut-paper diorama. 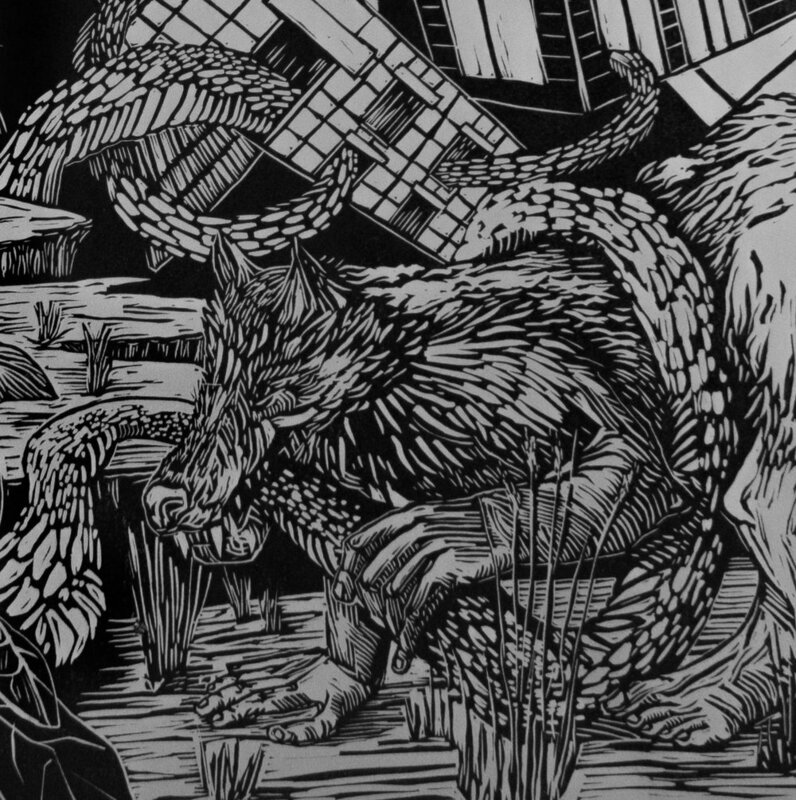 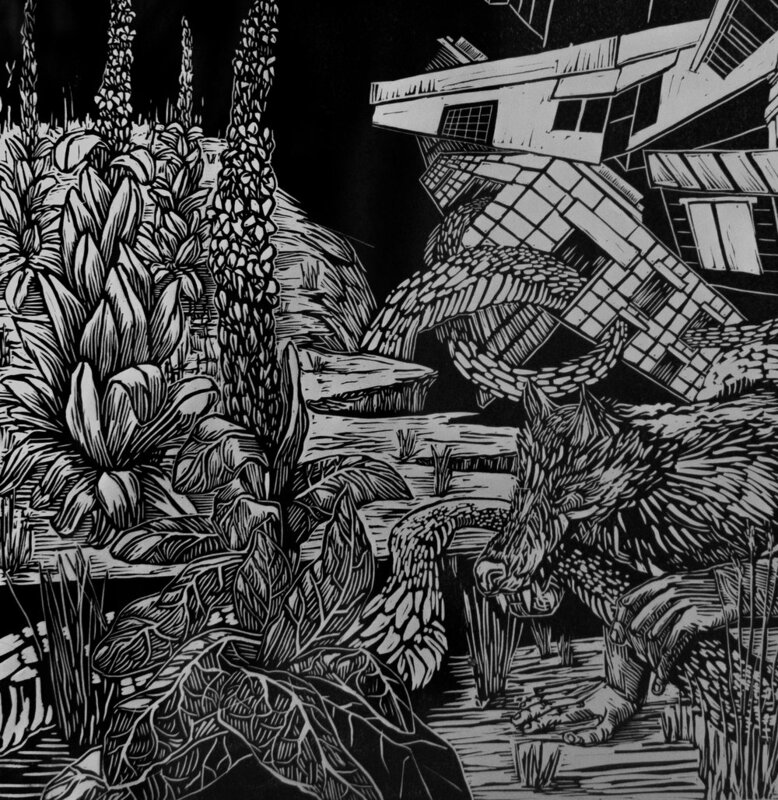 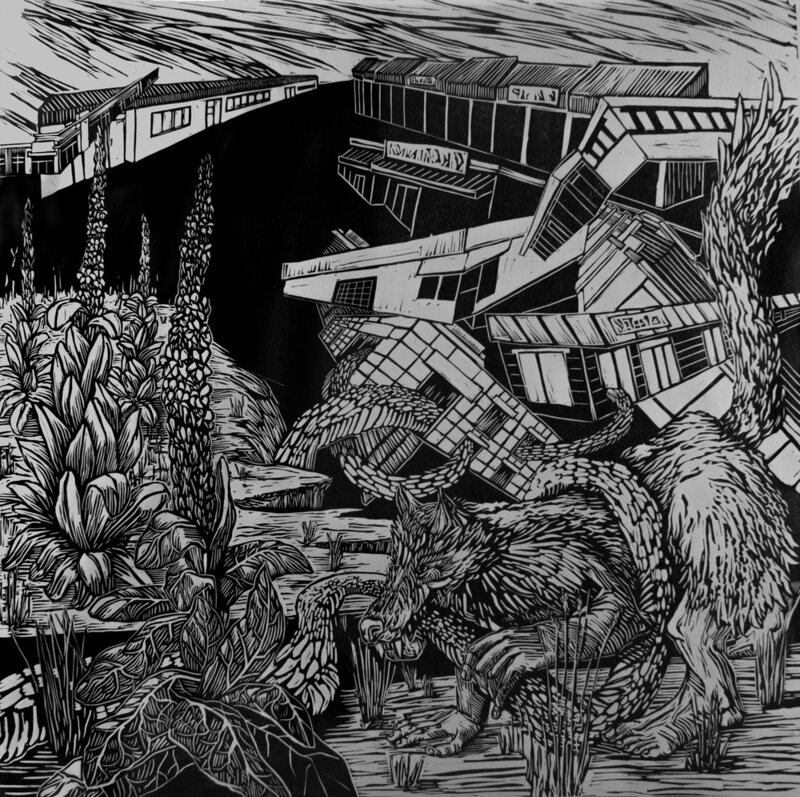 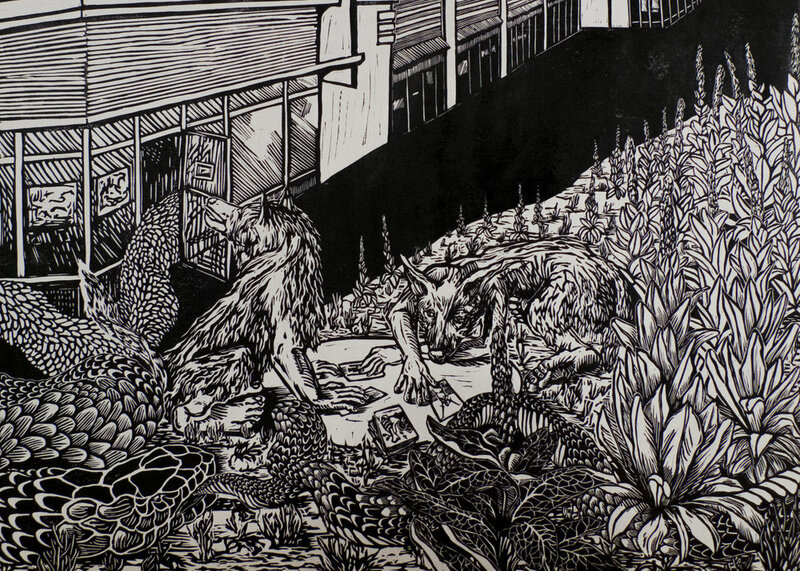 Linoleum prints of invasive plant species grew together like lacy textiles, and behind them, curious viewers found intricate ink drawings of dog womxn, snake people, and architecture of the living and the dying. 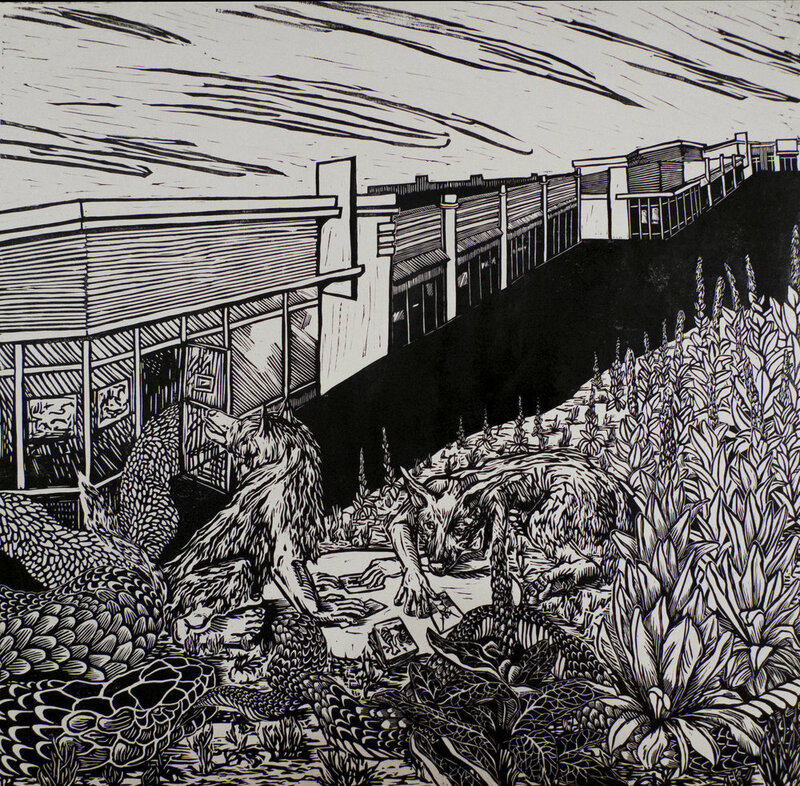 The Bienalley featured linoleum prints.